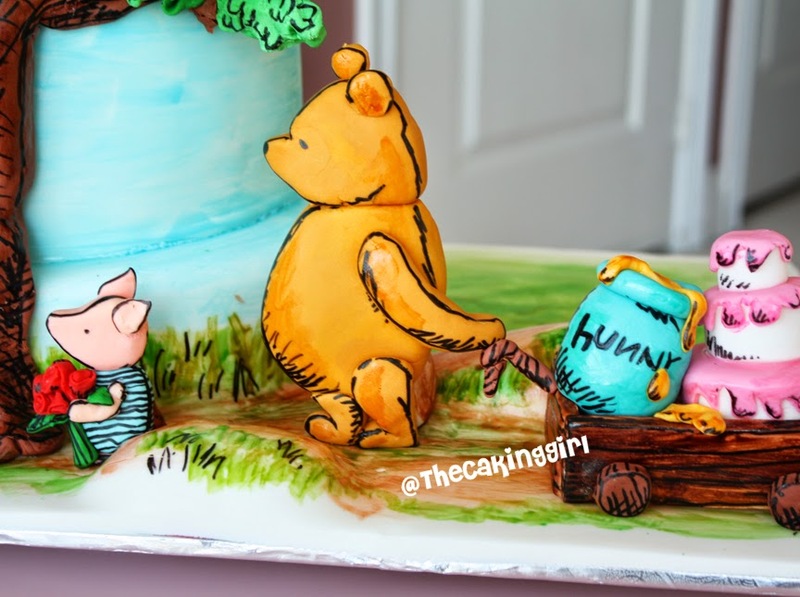 TheCakingGirl: Classic Winnie The Pooh Cake! 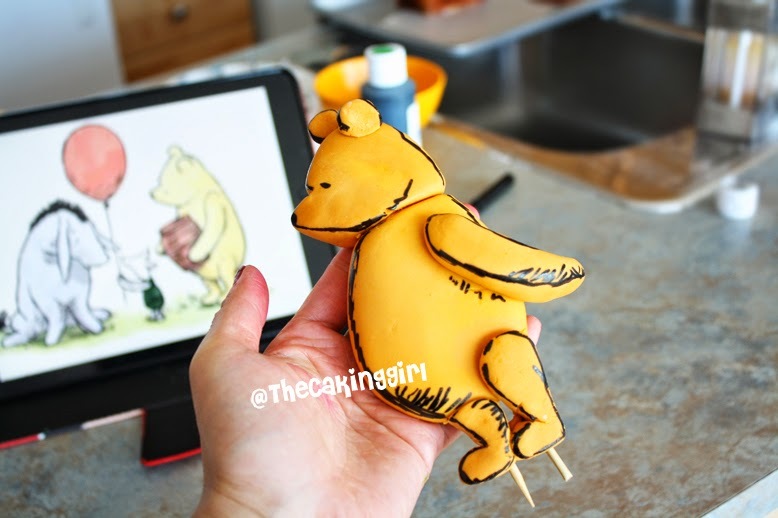 Classic Winnie The Pooh Cake! the story books and decided to create a story-book-page-like cake! 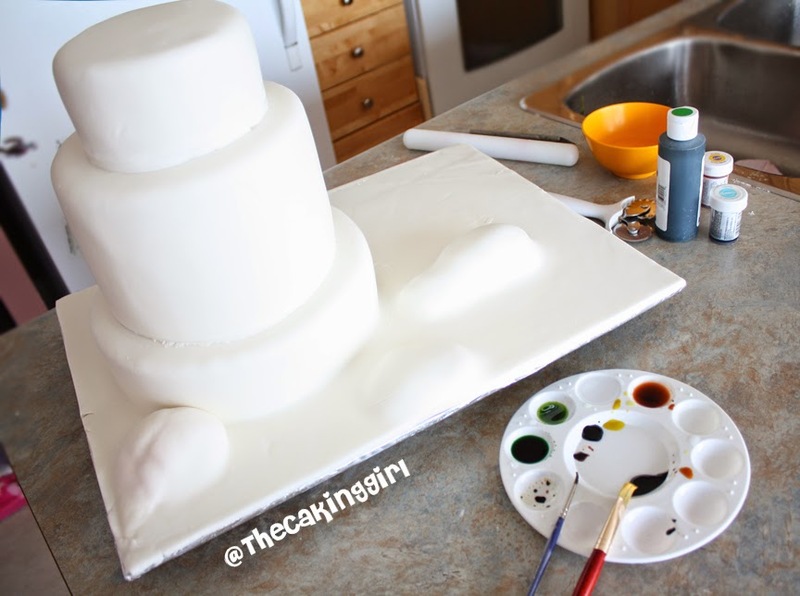 I started off with a 3 tier cake covered in white fondant. The cake board is covered as well. 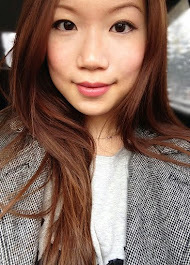 I painted the colors on just like the story book style, with lemon extract and color gels. 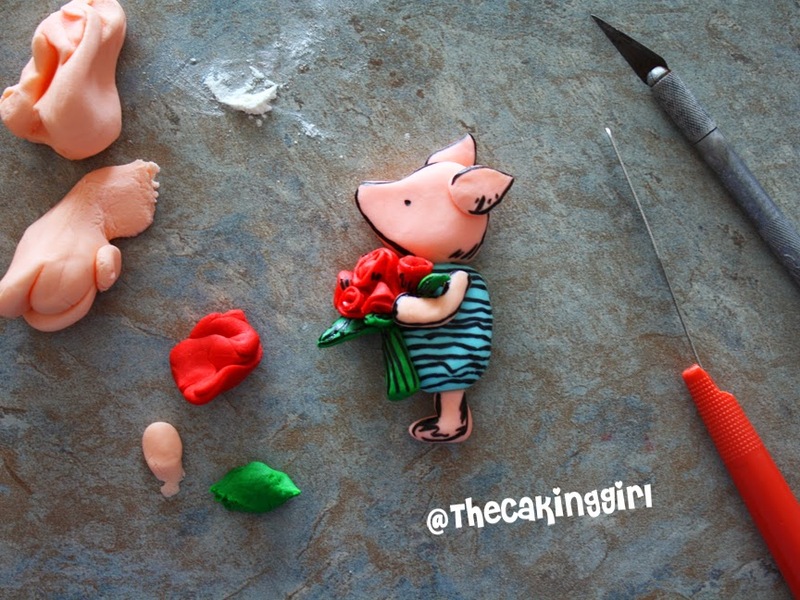 Making fondant Piglet, he's holding a bouquet of roses for the birthday girl. my ipad for reference. I found a Winnie The Pooh posing similar to what I had envisioned. Adding in the details. Pooh is gonna bring a cake to the birthday party! 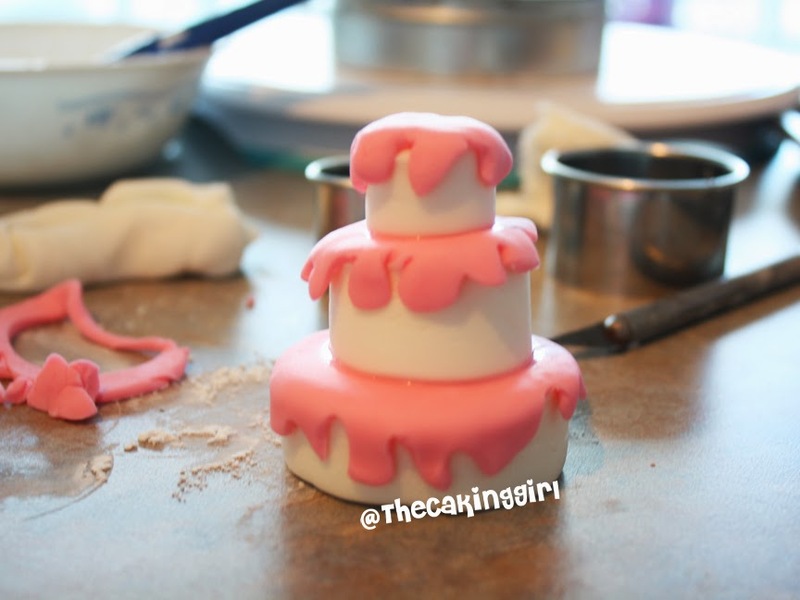 My cake is complete. 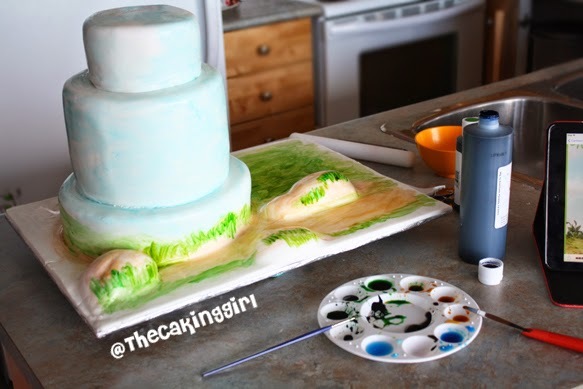 I love how this cake tells a story! 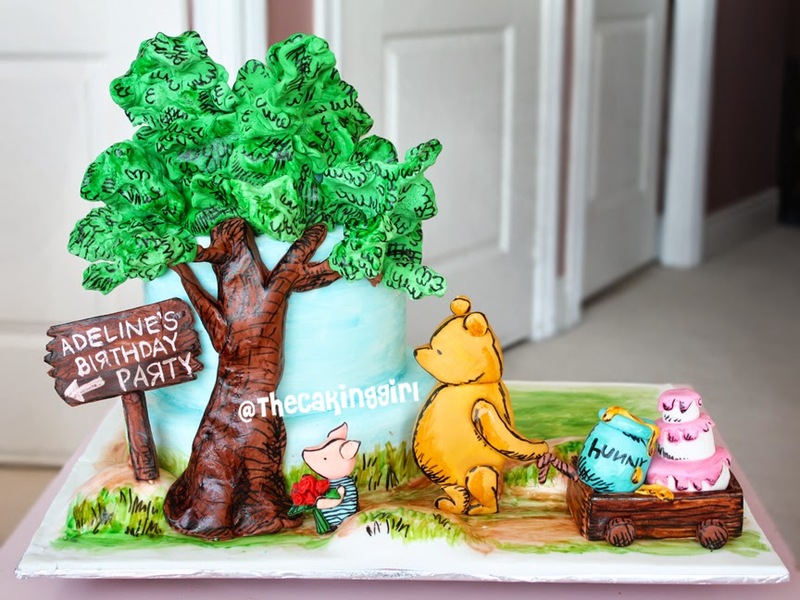 This Winnie Pooh cake is the perfect gift to give on a birthday party, especially for kid's birthday party. Kids mostly love to receive gifts of cartoons or toys. 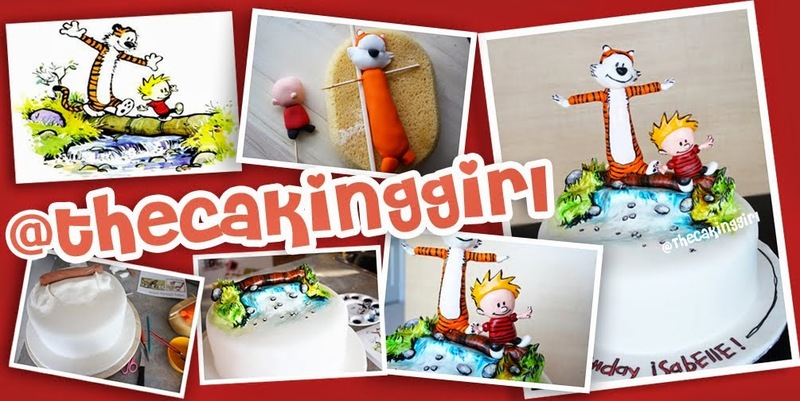 A cake with cartoons is really a very good combination. Thanks for letting know the procedure to make it. Apart from cakes, there are varieties of baby products to present as a baby gift. Visit Kid Steals to collect some baby gift products and other baby accessories. Thank you.